Training course on Fire Analysis and Wildland Fire Signature Prediction Methods: the Campbell Prediction System (CPS) with DGESC-GRAF in the frame of the Exchange of Experts Programme (A. Held, D. Kraus); Tivissa, Tarragona, Spain. Lecture on Fire ecology of global forests and open landscapes (Grundlagen der Feuerökologie in den Wald- und Offenlandschaften der Erde in the frame of the series of lectures Habitats of Earth and Diversity of Organisms (Lebensräume der Erde und Vielfalt der Organismen), Faculty of Biology, Freiburg University (J.G. Goldammer); Freiburg, Germany. Preparatory field consultation for prescribed burning operations in Bingenheimer Ried Nature Reserve, State of Hesse, Germany, in cooperation with Hesse Forest Service and State and local Nature Conservation (J.G. Goldammer); Wetteraukreis, Gettenau, Germany. Symposium on Fire Management in Cultural and Natural Landscapes, Nature Conservation and Forestry in Temperate-Boreal Eurasia; GFMC, Freiburg, Germany. Defense of PhD thesis Effects of different burning frequencies on fire behaviour, nutrient dynamics, soil properties, and vegetation structure and composition in dry dipterocarp forest, Huay Kha Kheng Wildlife Sanctuary, Thailand by Mr. Kobsak Wanthongchai, Faculty for Forest and Environmental Sciences, Freiburg University, with GFMC; Freiburg Germany. Meeting of the Committee of Permanent Correspondents of the European and Mediterranean Major Hazards Agreement (EUR-OPA) (Open Partial Agreement on the Prevention of, Protection Against, and Organisation of Relief in Major Natural and Technological Disasters), Council of Europe (J.G. Goldammer); Paris, France. 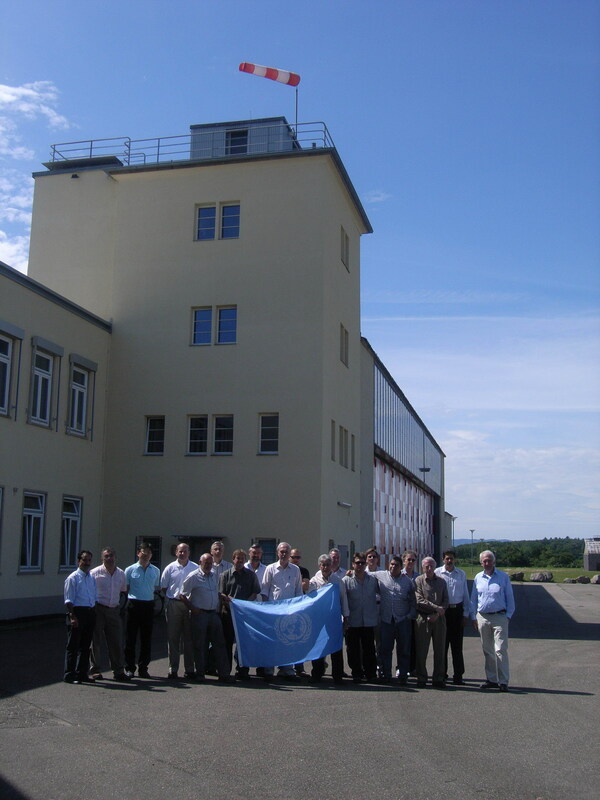 Meeting of the Executive Board and Member Forum, German National Committee for Disaster Reduction within the UN-ISDR (Deutsches Komitee für Katastrophenvorsorge – DKKV) (J.G. Goldammer); Bonn, Germany. International telecom of the UNISDR Working Group Environment (J.G. Goldammer). Prescribed burning operation in Drover Heide, Germany, in the frame of the Eurasian Fire in Nature Conservation Network / FIRE PARADOX (A. Held, with René Mause, Biological Station, Düren County); Nideggen-Brück, Germany. Prescribed fires conducted by the french Civil Service to restore pasture land in the Pyrenees Orientales, France. Successful implementation of the prescribed fire to maintain open Calamagrostis grasslands in Hohe Warte Nature Reserve, Hesse State, Germany. Prescribed fire operation for heathland conservation in Brandenburg State, in the frame of the Eurasian Fire in Nature Conservation Network / FIRE PARADOX (A. Held, with E. Brunn and G. Noack; Federal Forest Service, Spremberg, Germany); Zschorno Forest, Germany. High-intensity prescribed fire to maintain open Calluna heathlands in Zschorno Nature Reserve by burning of decadent heath and invading pines and birches. Prescribed burning experiments to reducing wildfire hazard (fuel accumulation) and enhancing natural regeneration in pine forests of Baden Wuerttemberg State, Forest District Staufen (J.G. Goldammer, A. Held, L. Koproski, D. Kraus, S. Sharma, M. Spielmann); Breisach Community Forest, Germany. Prescribed fire to reduce wildfire hazard (fuel reduction burning) in a pine forest, Breisach Community Forest, Germany. 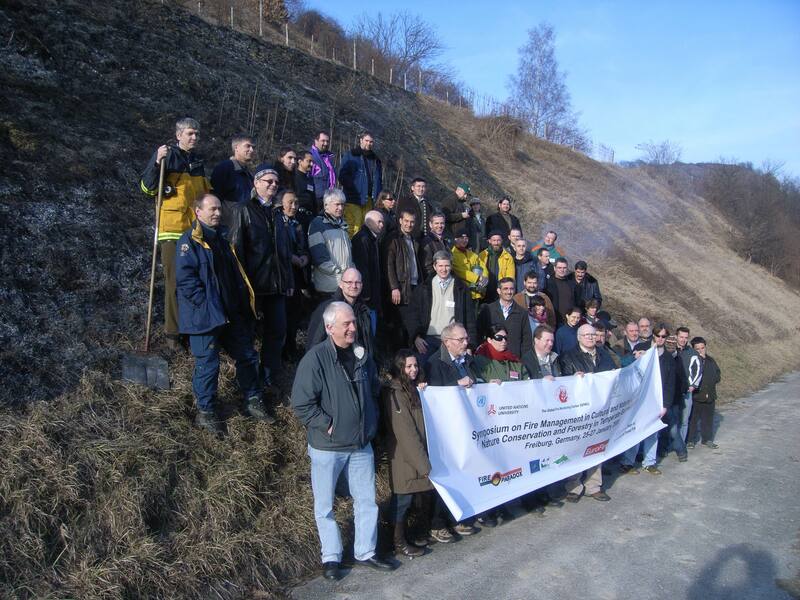 Pianacci Prescribed Fire Project Forest fire prevention through controlled use of Fire in Tuscany. Initiated and conducted by GFMC / WoF Int in cooperation with Universities of Padua and Firenze as well as “La Rachetta” Volunteer Fire Service (A. Held, E. Valese); Lastra a Signa, Italy. Prescribed burning operations on the former miltiary exercise area Muensingen, Baden-Wuerttemberg State, for maintaining open grassland habitats for endangered birdlife, with Federal German Forest Service and Muensingen Center Fire Brigade (J.G. Goldammer); Muensingen, Germany. Prescribed burning operations within the EU-sponsored LIFE Rohrhardsberg project. Testing the use of prescribed fire in maintaining landscape and ecosystem structures in grazing systems in the Black Forest (D. Kraus, S. Sharma); Kostgfäll, Simonswald, Germany. Testing of fuel assessment methods in mountain pastures and grazing systems of the Black Forest, Germany, in the frame of the Eurasian Fire in Nature Conservation Network (EFNCN) / Fire Paradox (M. Spielmann, S. Sharma); Kostgfäll, Simonswald, Germany. Preparatory Expert Meeting for the FAO High-Level Conference on World Food Security and the Challenges of Climate Change and Bioenergy (J.G. Goldammer); FAO Headquarters, Rome, Italy. Nikos Alexandris, PhD candidate at the Department of Remote Sensing, Faculty of Forest Sciences, Freiburg University, is joining the GFMC team as a new staff member. Testing of fuel assessment methods in Drover Heide, Germany, in the frame of the Eurasian Fire in Nature Conservation Network (EFNCN) / Fire Paradox (M. Spielmann, S. Sharma, with René Mause, Biological Station, Düren County); Nideggen-Brück, Germany. Annual ICS Summit (ICS Implementation, Mutual Agreements) (A. Held); Dimalachite Nature Reserve, Parys, Free State, South Africa. Preparatory meeting of the 5th International Wildland Fire Conference (A. Held, C. Austin); Sun City, South Africa. SafNET-AfriFireNet meeting. Preparation of 7th SafNet workshop and institutional arrangements between the two networks (A. Held, P. Dube); University of Botswana, Gaborone, Botswana. Work visit of Ben Drew, Project Director, for preparation of the International Aerial Firefighting Conference (Athens, Greece, 21-22 October 2008); GFMC. Hot Topics and Burning Issues: Fire as a Driver of System Processes  Past, Present, and Future. A PhD course being organised jointly by: The C.T. de Wit Graduate School for Production Ecology and Resource Conservation (PE&RC, Wageningen University), the Global Fire Monitoring Center / Max Planck Institute for Chemistry and the United Nations University (M. Spielmann, L. Koproski, A. Held, S. Sharma, J.G. Goldammer); Wageningen, Netherlands / Drover Heide, Germany. Kick-off meeting for the BMZ funded project “Forest Fire Management in India: Integrating Ecological and Cultural Contexts and Consequences”. The project is granted to the Institute for Silviculture, Freiburg University, CIFOR and ATREE with GFMC support (D. Kraus); Chanakyapuri, New Delhi, India. Departure to field work Community-based Fire Management in Nepal (Sundar P. Sharma); Kathmandu, field sites, Nepal. Stakeholders meeting on Disaster Prevention, Environment DG, Unit A3 – Civil Protection (J.G. Goldammer); European Commission, Brussels, Belgium. Fire Paradox Prescribed Burning and Integrated Fire Management Course (S. Teusan, B. Oyunsanaa); Lousã, Portugal. “Working on Fire” and “5th International Wildland Fire Conference” presentation at the CTIF Forest Fire Commission meeting (A. Held); Lisbon, Portugal. EuroFire workshop (A. Held, S. Maisch, D. Kraus, M. Bruce); Edinburgh, Scotland. High-level meeting of German agencies / ministries and other entities involved in environmental emergencies on the UN OCHA Rosersberg Initiative, convened by the German Foreign Office (J.G. Goldammer); Berlin, Germany. Meeting of United Nations University (UNU) Research and Training Centres and Programmes (Directors of UNU and Associated Institutes) at UNU-INWEH (UNU International Network on Water, Environment and Health) (J.G. Goldammer, scheduled, probably cancelled due to Rosersberg consultation in Berlin, 22 April 2008); Hamilton, Canada. GFMC / UNU presentation Breath the risk: Threat and status of pyrogenic emissions of particles on human health at UN Headquarters (J.G. Goldammer); UN Headquarters, New York, U.S.A.
GFMC / UNU presentation Energy security: The role of vegetation fires as substantial factor in maintaining fire-dependent ecosystems vs. the need of utilizing the biofuel energy potential for securing energy demands of a growing global population (J.G. Goldammer); Washington, D.C., U.S.A.
Training on Rapid Fire Area Mapping by ECAT Tirana (Environmental Center for Administration and Technology), SNV (Netherlands Development Organization) implemented by GMFC (N. Alexandris); Tirana, Albania. Workshop on Forest fire prevention opportunities in Macedonia by SNV (Netherlands Development Organization), UNISDR Regional South East Europe / Caucasus Wildland Fire Network and GMFC (J.G. Goldammer); Skopje, Macedonia. The Timber Committee Special Session on the Strategic Review and Plan of the UNECE/FAO Integrated Programme of Work on Timber and Forestry, with participation of the team leader of the UNECE/FAO Team of Specialists on Forest Fire; UN Geneva, Switzerland. Meeting with Frankfurt Fire Service on collaboration on capacity building in wildland fire management (J.G. Goldammer, D. Kraus, A. Held); Frankfurt, Germany. Workshop Forest Fires in the Mediterranean Region: Prevention and Regional Cooperation (J.G. Goldammer); Sabaudia, Circeo, Italy. Ad hoc meeting of experts on prevention of forest fires, Environment DG, Unit A3 – Civil Protection (J.G. Goldammer); European Commission, Brussels, Belgium. Stakeholder meeting on forest fires in Albania by SNV (Netherlands Development Organization) and GMFC (J.G. Goldammer); Tirana, Albania. Coordination meeting between the German Federal Agency for Technical Relief (Bundesanstalt Technisches Hilfswerk) and GFMC (J.G. Goldammer); Berlin, Germany. First International Central Asian Wildland Fire Joint Conference and Consultation Wildland Fires in Natural Ecosystems of the Central Asian Region: Ecology and Management Implications, associated with the First Central Asian Forest Fire Experiment (J.G. Goldammer); Ulaanbaatar, Tunkhel, Mongolia. Workshop Offenlandmanagement ausserhalb landwirtschaftlicher Nutzflächen (Management of open landscape outside agricultural land use areas), organized by the Federal Agency for Nature Conservation (J.G. Goldammer); International Nature Conservation Academy, Vilm Island, Germany. GFMC and partners (Kerstin Friedel, Nature Conservation Office, Teltow-Fläming County, Brandenburg State; Egbert Brunn, German Federal Forest Service, Brandenburg State; René Mause, Biological Station Dueren) represented at the Vilm Workshop. Temporary GFMC staff member, Ms. Michaela Spielmann, resuming work for FIRE PARADOX (1 July  31 August 2008); GFMC. Joint Meeting of the UNISDR Wildland Fire Advisory Group / Global Wildland Fire Network / International Liaison Committee (ILC) (all GFMC staff); GFMC. Joint Meeting of International Liaison Committee (ILC) / Fire Management Actions Alliance Advisory Group; GFMC. EuroFire Steering Group Telecon; RDI / GFMC. Work visit of Mr. Patricio I. Sanhueza Bravo, Chief, Operations Section, Fire Control Department, National Forestry Cooperation CONAF, Chile (until 13 July 2008); GFMC. Work visit of Prof. Dr. Carlos Antonio Batista, Fire Laboratory, Forestry Department, Federal University of Paraná, Curitiba, Parana, Brazil. Summer Course “Incendios Forestales: ¿Una Catástrofe Estival Inevitable?”. Presentation Cooperación internacional en la defensa contra incendios forestales by J.G. Goldammer (22 July 2008). Universidad Complutense de Madrid, Spain. Meeting with Frankfurt Fire Service and the German Fire Services Association (Deutscher Feuwerwehrverband) on collaboration on capacity building in wildland fire management in Germany (J.G. Goldammer, D. Kraus, A. Held); Frankfurt, Germany. Evaluation meeting of prescribed burning operations in Muensingen (cf.25 February 2008) and other military sites within the responsibility of the German Federal Forest Service (J.G. Goldammer); Muensingen, Germany. On-site assessment of the use of prescribed fire in Eichhalde Nature Reserve (J.G. Goldammer); Bissingen/Teck, Germany. Locally designed prescribed fire trailer for the disposal of slash and other debris after mechanical treatment to maintain open habitats Eichhalde Nature Reserve, Swabia, Germany. Training exchange for fire professionals in the frame of Module 10, Fire Paradox, to UT GRAF (A. Held, D. Kraus with M. Müller, T. Kreuzer); Catalonia, Spain. Consultation with Airmatic Group on the use of armoured firefighting vehicles with high-pressure vortex extinguishing technology (J.G. Goldammer);Hemer, Germany. Consultation andon-site assessment of the use of prescribed fire in Mehlinger Heide Nature Reserve, Federal German Forest Service (J.G. Goldammer); Mehlingen, Ramstein Air Base, Germany. Military activities, including regular fires caused by shooting, have created conditions for the formation and survival of continental Calluna vulgaris heath in Mehlinger Heide. Abandonment of military use has resulted in succession (birch, pine), leading to forest formation and loss of open habitats for endangered species. Prescribed burning operations are now planned for 2008-2009. Fire assessment mission to Macedonia and Kosovo (J.G. Goldammer); Skopje / Pristina and hinterlands, Macedonia / Kosovo. Follow-up of the First International Central Asian Wildland Fire Joint Conference and Consultation Wildland Fires in Natural Ecosystems of the Central Asian Region: Ecology and Management Implications, associated with the First Central Asian Forest Fire Experiment (J.G. Goldammer); Ulaanbaatar, Mongolia. National Mongolian consultation on fire management (J.G. Goldammer); Ulaanbaatar, Mongolia. 50th Anniversary of the foundation of the Mongolian State University of Agriculture, with participation of GFMC (J.G. Goldammer); Ulaanbaatar, Mongolia. Information event of Muellheim Fire Service Forest Fire Danger in the Black Forest, with GFMC presentations Entwicklung von Verfahren des Feuer-Managements, einschließlich der Verhütung und Bekämpfung von Waldbränden in Baden-Württemberg: Aus der Arbeit der Freiburger Arbeitsgruppe Feuerökologie und des Global Fire Monitoring Center (J.G. Goldammer), Innovative Verfahren und Taktiken in der Waldbrandbekämpfung: Beispiele aus der Praxis (D. Kraus) and Waldbrandbekämpfung aus der Luft: Einsatzgrundsätze und Erfahrungen (A. Held); Bürgerhaus Müllheim, Germany. Outreach work by Working on Fire (WoF) International: Development of the national fire management policy in Botswana and participation at the 7thSAFNET WORKSHOP (22-26 September 2008) (A. Held), Caprivi, Katima Mulilo, Namibia. Information Day by the Civil Protection Unit of the European Commission, DG Environment, on Pilot Projects to step up cooperation between Member states on combating forest fires (D. Kraus); Brussels, Belgium. All-Russian Conference devoted to the 100th Anniversary of Professor Nikolay Petrivich Kurbatsky Fire In Forest Ecosystems of Siberia, with GFMC contribution The Eurasian Fire in Nature Conservation Network (EFNCN): Advances in the Use of Prescribed Fire in Nature Conservation, Landscape Management, Forestry and Carbon Management in Temperate-Boreal Europe and Adjoining Countries in Southeast Europe, Caucasus, Central Asia and Northeast Asia (J.G. Goldammer); V.N. Sukachev Institute of Forest, Siberian Branch, Russian Academy of Sciences Krasnoyarsk, Russia. 29th German Nature Conservation Day 2008 Stimmt das Klima? Naturschutz im Umbruch (Climate Change  Nature Conservation in Transition) with GFMC presentation The role of fire in Central European Ecosystems  marginal effects, essential factor or management option? (D. Kraus); Karlsruhe, Germany. Revisit of the Bor Forest island Fire Experiment of 1993 (J.G. Goldammer); Krasnoyarsk, Yenisseisk, Bor, Russian Federation. Joint OSCE / UN mission to assess the fire damages in Georgia resulting from the armed conflict between Georgia and Russia in August 2008 (J.G. Goldammer); Tbilisi, Borjomi, Gori, South Ossetia, Georgia. CTIF / EuroFire meeting (A. Held), Thessaloniki, Greece. Workshop on fire detection and assessment of fire use patterns through the Multidisciplinary Landscape Assessment (MLA) with training field exercise (D. Kraus); Madanapalle, Andra Pradesh, India. National Round Table Reduce Risk of Disaster from Catastrophic Wildfires in the Chernobyl Irradiated Forests hosted by the Ukrainian Ministry for Emergency Situations with the National Agricultural University of Ukraine (NAUU), supported by the GFMC (J.G. Goldammer); Kiev, Ukraine. 3rd GOFC-GOLD Land Cover Symposium (J.G. Goldammer, S. Sharma); Jena University, Germany. Work meeting of Fire Paradox members for Module 7 (Fire Policies and Practices Assessment) with field visit to Morocco WP 7.3 pilot-site; (D. Kraus); Chefchaouen, Morocco. International Aerial Firefighting Conference, chaired by GFMC (J.G. Goldammer); Athens, Greece. Field work for the Analysis of Large Past Fires in the frame of Module 8 of Fire Paradox (D. Kraus, T. Rydkvist); Hassela, Hälsingland, Sweden. EuroFire Steering Group Telecon; CTIF / RDI / GFMC. International Conference “Climate Change as a Security Threat – Strategies for Policy-Makers, Science and Business”, organized by the German Federal Foreign Office, with GFMC exhibition on Wildland Fires and Human Security (J.G. Goldammer, GFMC staff); Freiburg, Germany. Preparatory meeting at NaturSchutzFonds Brandenburg for the development of a project for prescribed burning inHeidehof-Golmberg andJägersberg-Schirknitzberg Nature Reserves in the frame of an overall management concept on UXO-contaminated terrain (J.G. Goldammer); Potsdam, Germany. Annual course “Fire Ecology in Ecosystems of the Tropics and Subtropics”, Faculty for Forest and Environmental Sciences, Freiburg University (Germany), given by GFMC staff (J.G. Goldammer, D. Kraus, S. Maisch); Freiburg University, Germany. Fire Paradox WP 9 meeting and First international advanced course in prescribed burning and backfiring (D. Kraus, M. Spielmann); Gran Canaria, Spain. International conference on Tropical Forestry Change in a Changing World (FORTROP II), with GFMC presentation Fire management in South Asias dry forests: Colonial approaches, current problems and perspectives by Johann Georg Goldammer and Kobsak Wanthongchai (presenter); Kasetsart University Bangkok, Thailand. Prescribed burning demonstration in the viticulture region of Kaiserstuhl (D. Kraus, A. Held); GFMC. 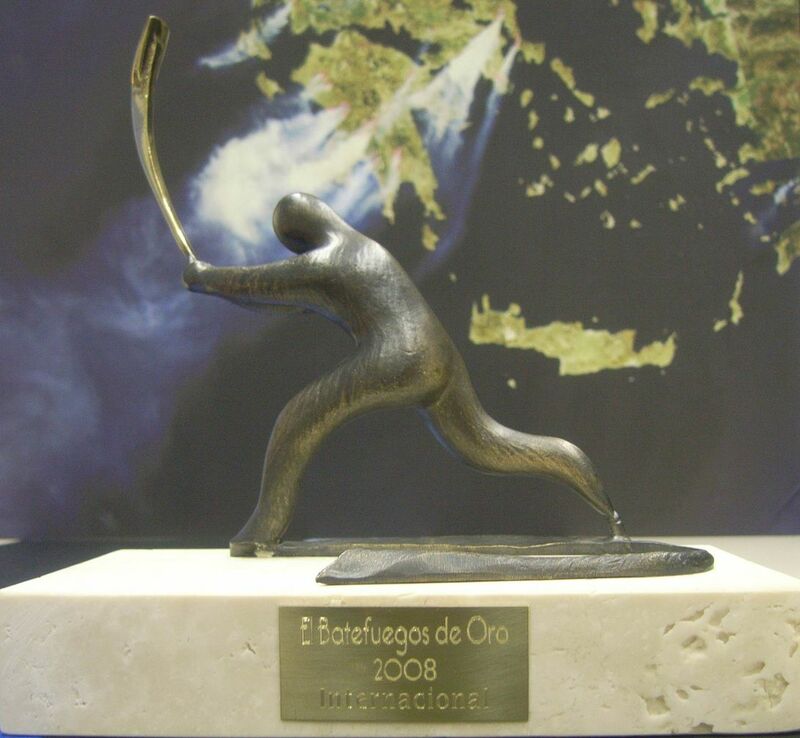 Ceremony of the award El batefuegos de oro (The Golden Swatter). The international category (Premio a la mejor labor en el marco internacional) will be awarded to the GFMC; Santander, Spain. EuroFire Steering Group Meeting with CTIF / RDI / GFMC (J.G. Goldammer); Birmingham, United Kingdom. Regional meeting of the UNISDR Regional SE Europe / Caucasus Wildland Fire Network for wrapping up the 2007-2008 fire seasons and preparation of the 2009 Regional Training Course: Fire Management on Terrain contaminated by Unexploded Objects (UXO), Land Mines and Radioactivity (J.G. Goldammer); Skopje, Macedonia. Annual course “Natural Hazards  Wildland Fire Hazards”, Faculty for Forest and Environmental Sciences, Freiburg University (Germany), given by GFMC staff (J.G. Goldammer); Freiburg University, Germany. Meeting of the Heidelberg Society for Geography with GFMC presentation Feuerökologie in Wäldern und offenen Landschaften (Fire Ecology of Forests and Open Landscapes) by J.G. Goldammer; Heidelberg, Germany. GFMC greetings for 2009: Happy New Year to all colleagues, cooperators and especially the members of the Global Wildland Fire Network.